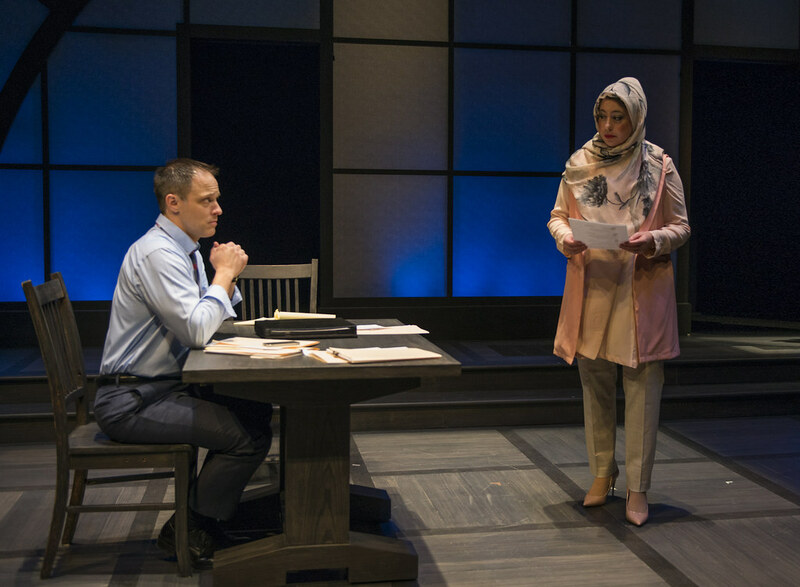 This world premiere comes from an exciting new playwright – the two-time winner of the Agnes Nixon Playwriting Festival and the recipient of the first annual Judith Barlow Prize. 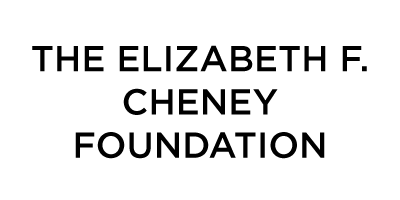 This production is supported in part by an Edgerton Foundation for New Plays Award. 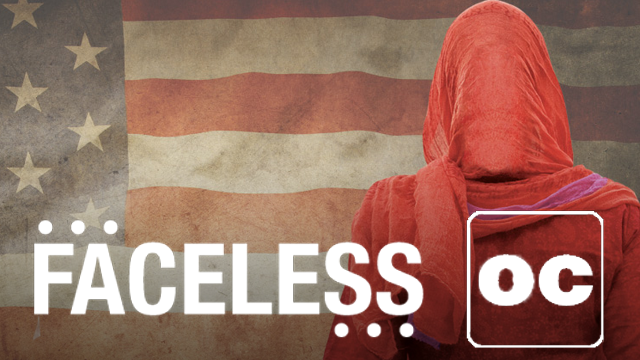 “Faceless” may well leave you breathless. 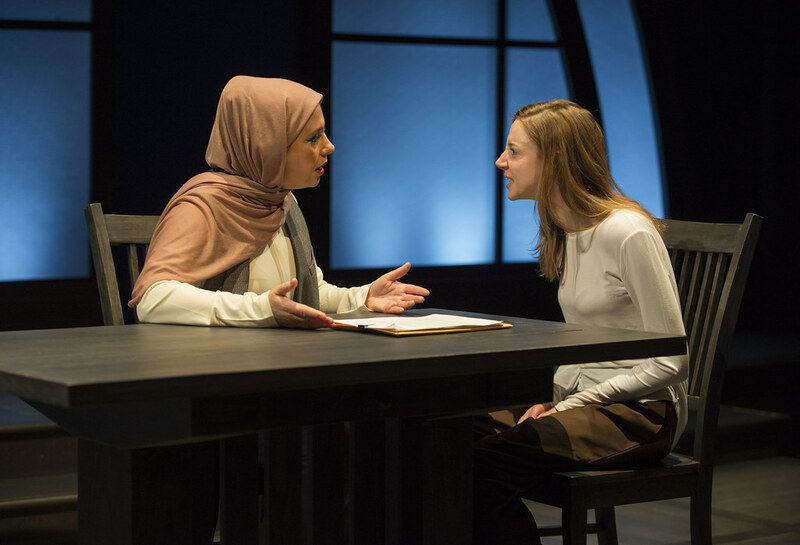 Selina Fillinger’s timely new play about identity and faith expresses its myriad ideas so quickly and so unrelentingly that it threatens to overwhelm the audience. 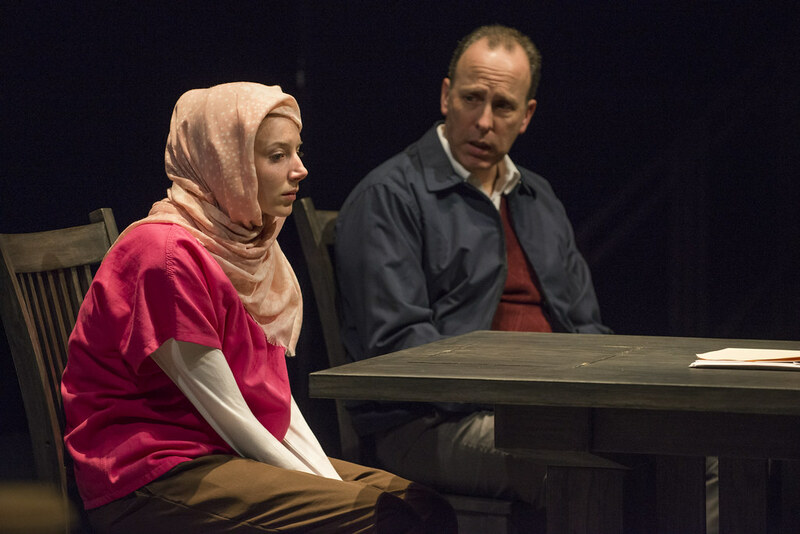 Fillinger gives us plenty to ponder in this sharply written, 90-minute courtroom drama about an American teenager and convert to Islam who’s recruited by terrorists into aiding their cause. 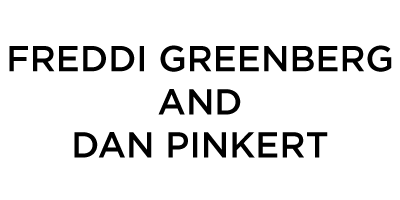 Developed through Northlight Theatre’s Interplay Program, the company’s blistering world premiere is helmed by Northlight artistic director BJ Jones. 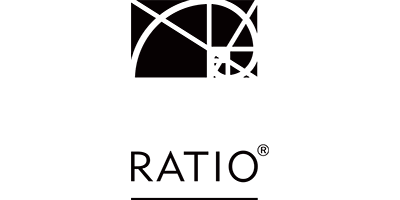 And his taut production boasts an A-list cast. 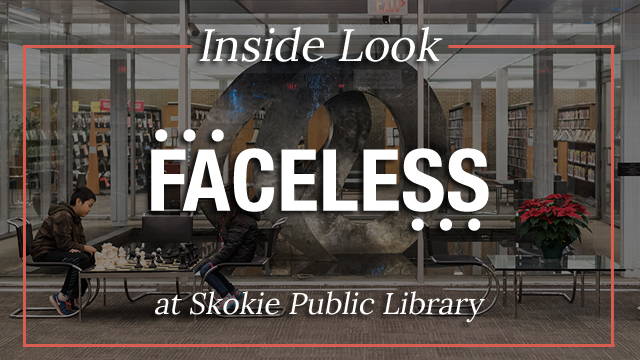 The characters in Faceless, a new play by 22-year-old recent Northwestern graduate Selina Fillinger, rarely keep their thoughts to themselves. 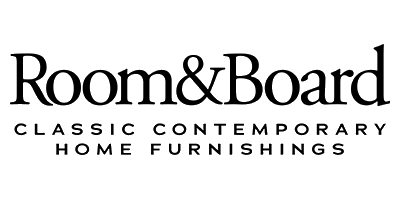 They are forthright, prickly, and all too quick with an unpopular opinion. 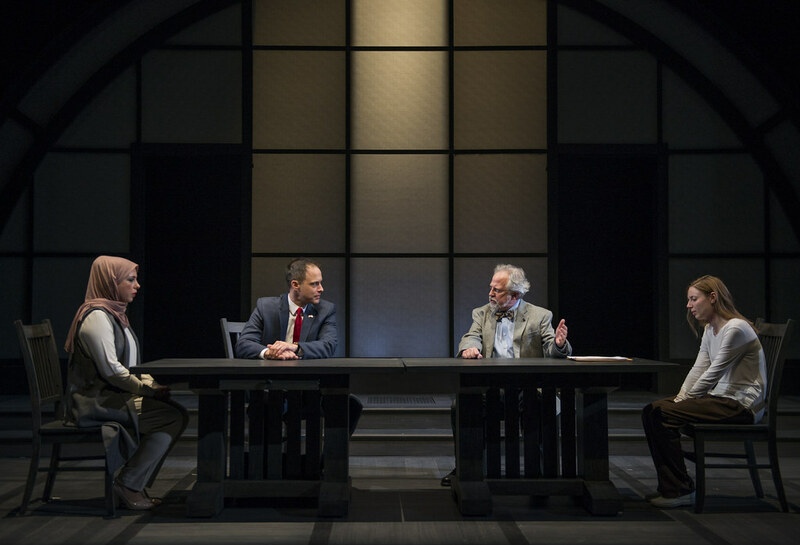 The confidence with which they all hold court—sometimes literally, since it’s a courtroom drama—echoes the confidence baked into every word of Fillinger’s script. 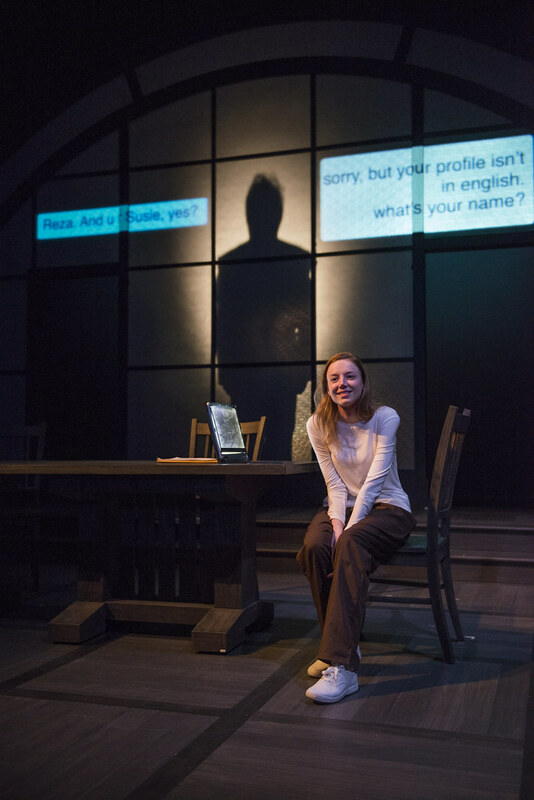 It’s uncommon for 22-year-olds to have their work produced at a theater like Northlight under a director like BJ Jones, but Faceless is not the kind of play that 22-year-olds commonly write. 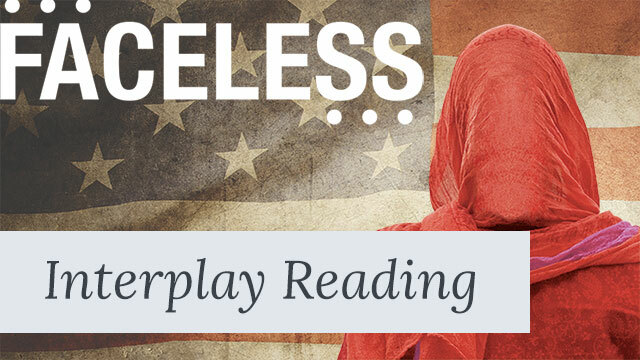 While it certainly has its flaws—more on those in a bit—Faceless really is one hell of a debut. 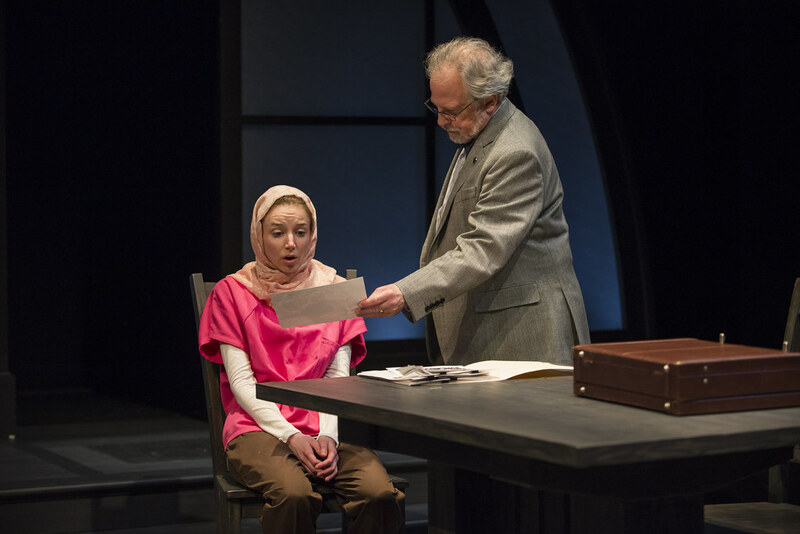 Faceless leaves little doubt that Fillinger is a master of craft, slicing and dicing with tools that most playwrights her age are still years away from honing. 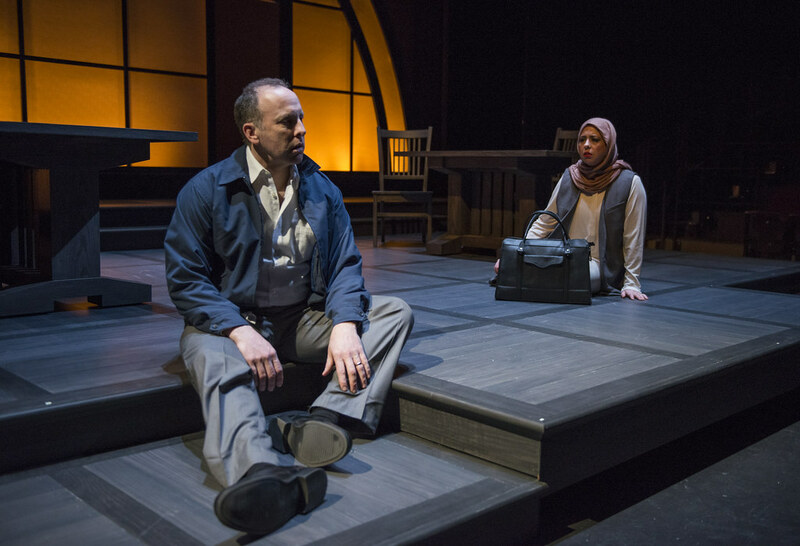 The play is well-made, well-structured, and well-paced to a degree that’s rare in a professional debut. And like all great debuts, Faceless will leave you eagerly waiting to see what Fillinger does next. 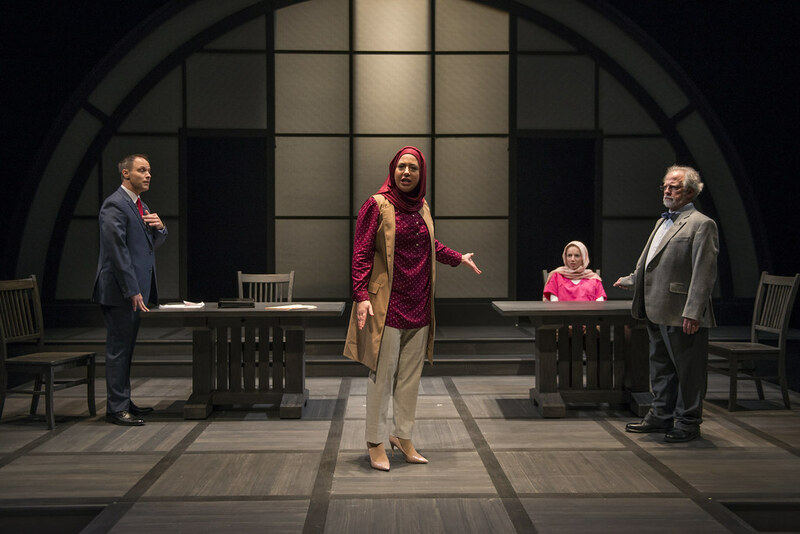 Although maybe not so great for America, a Trump presidency will likely be a boon for the theater world as a whole new wave of artists can be expected to explore how race and religion factor in an increasingly totalitarian world. 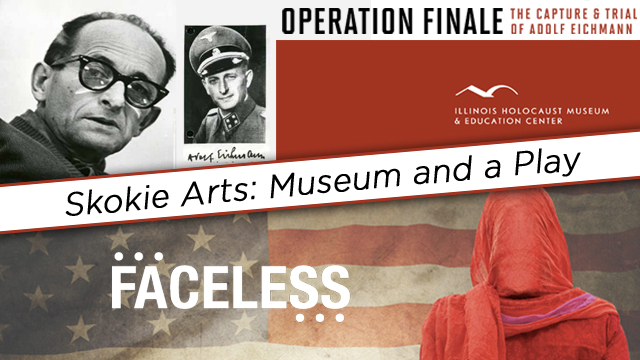 Presented as a world premiere at Northlight Theatre, Selina Fillinger’s “Faceless” will likely serve as a benchmark for what this type of drama is capable of achieving. BJ Jones directs a production that is as compelling to look at as it is to discuss. 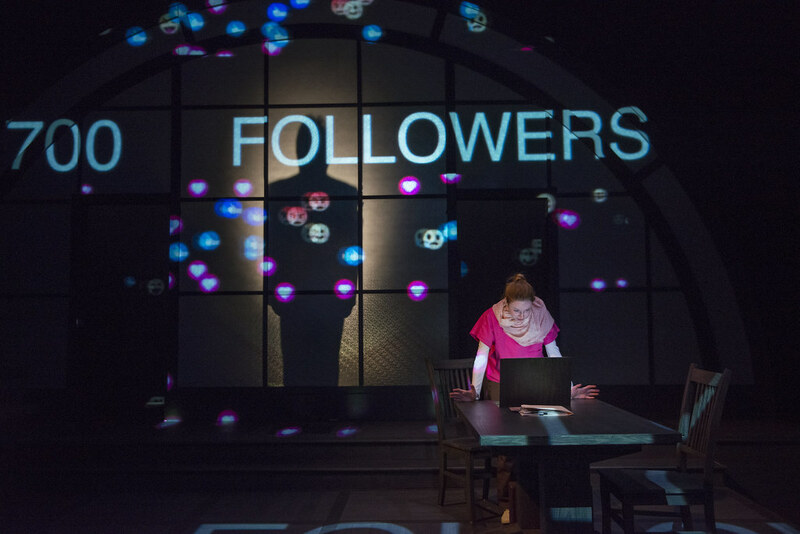 The quick pacing allows for a sense of authenticity and Stephan Mazurek’s clever projection design (projected texts and brightly colored emojis) perfectly captures Susie’s online world while a creepy ISIS recruiter is seen only as a shadow hiding behind a screen. 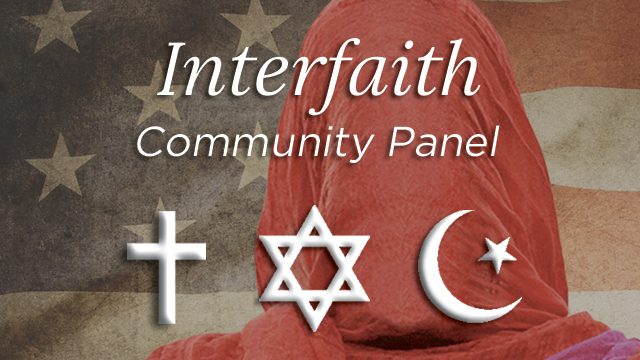 As relevant as the plot is to today’s political world, the timeless themes of identity and discovery offered here will undoubtedly resonate well past the current president’s term. 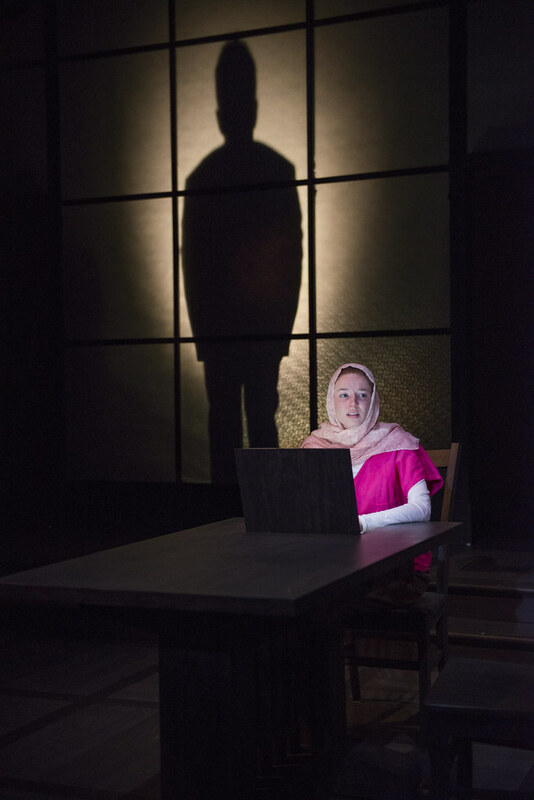 “Faceless,” the lively new drama at Northlight Theatre that deals with the recruitment — over Twitter and Facebook — of a young American woman to join the jihad, is the work of 22-year-old playwright Selina Fillinger. It is a notable achievement for a scribe so early in her career. This is what Fillinger does uncommonly well. Fillinger can tell a dramatic story — she can really tell a story, and I suspect any TV network in receipt of this script would have its interest immediately perked. 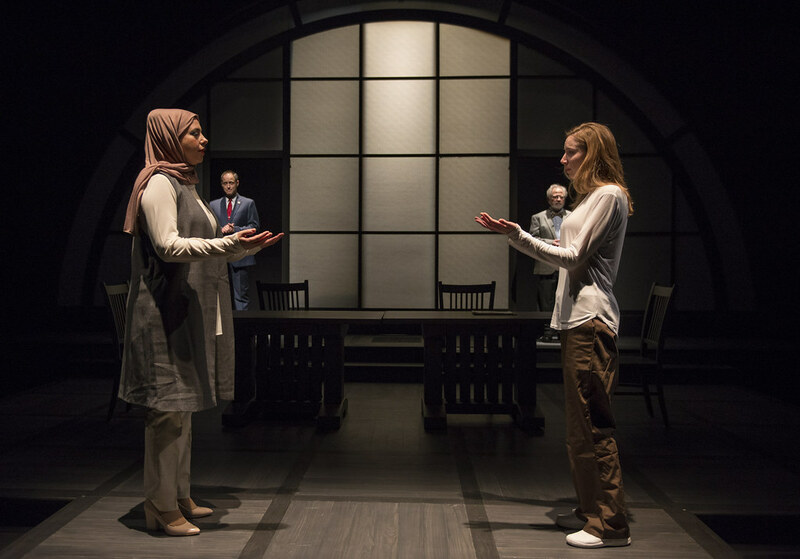 You can see that she can pack more moment-by-moment tension into a play than most playwrights ever manage in their careers and Jones responds by forging a heightened production that holds your attention easily and lets Stock’s performance take hold of the show, as it should. 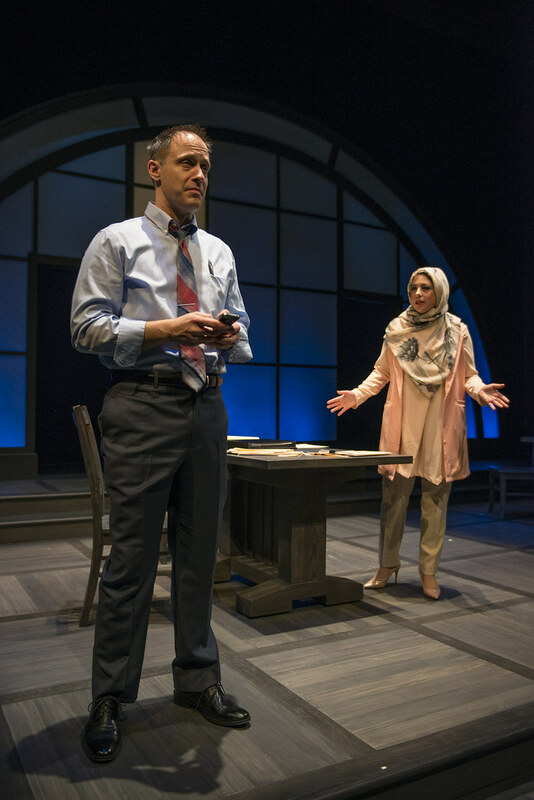 Given the considerable time it takes to research, write, refine, develop, schedule, produce and promote a play, it might seem rather kismet–from a topicality and publicity standpoint–that Selina Fillinger’s Faceless, which focuses on Muslims in America and fears of terrorism, happens to be world premiering right now. 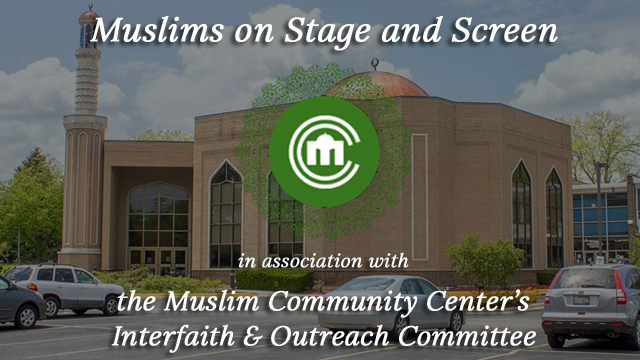 Certainly, anti-Muslim vitriol from certain quarters–and empathy for the predominantly peaceful followers of Islam from others–is nothing new, and in recent years I’ve seen three excellent plays by Rohina Malik (Unveiled, The Mecca Tales and Yasmina’s Necklace) that have aided my cultural understanding rather acutely after terrorist acts have exacerbated American Islamophobia. But with President Trump’s immigration-restricting executive order that many, including me, read as a Muslim Ban resulting in great agitation and mass protest–and assuredly widespread support as well–Faceless comes at about the most salient juncture imaginable. 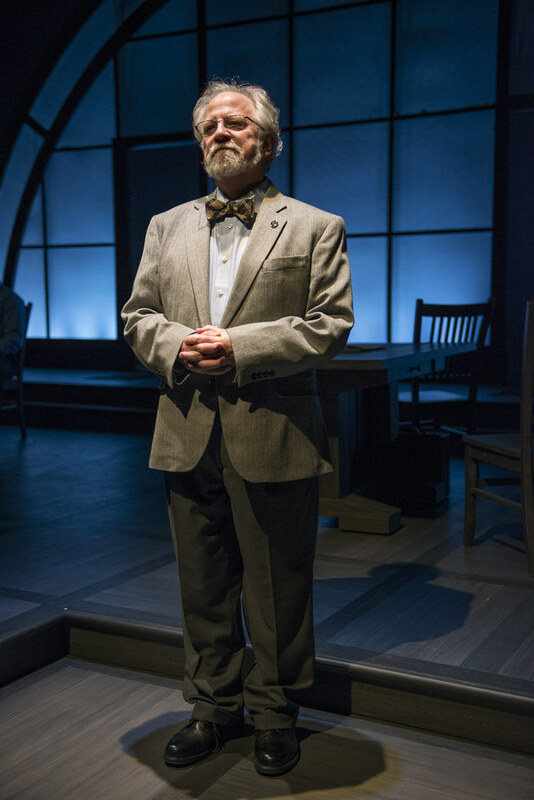 If this helps garner press and sell tickets for Fillinger’s smart, empathetic and humane drama–astutely-directed by Northlight artistic director BJ Jones–in which every character has relatable and objectionable aspects, the timing can’t be considered inopportune. Susaan recently traveled to London and Toronto to perform the solo show Oh My Sweet Land with Silk Road Rising. She was last seen in Chicago as Virginia in The Life of Galileo with Remy Bumppo. 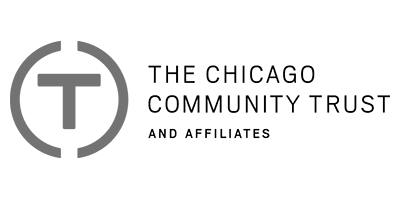 Chicago: Lookingglass, Victory Gardens, Theater Wit, 16th Street, Chicago Dramatists, The Gift, Sideshow (Jeff Award-Ensemble), Lifeline, Collaboraction, Erasing the Distance, Stage Left, Oracle, and The Inconvenience, with workshops and readings at Goodman and Steppenwolf. 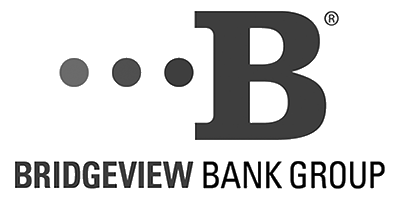 Regional: Arena Stage, Berkeley Rep, The Michigan Shakespeare Festival, Pittsburgh Public Theater. TV: Chicago PD and Sirens. Select film: Cicero in Winter, The Wallet, and A Cadaver Christmas. 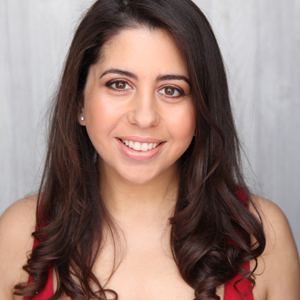 Susaan received her MFA in acting from The Theatre School at DePaul University, has studied with The Second City, and is represented by Paonessa Talent Agency. Ross is very happy to return to Northlight. 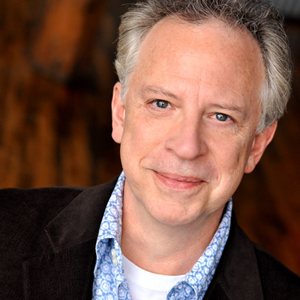 Ross’s Broadway credits include A Funny Thing Happened on the Way to the Forum, The Tempest, and One Flew Over the Cuckoo’s Nest. 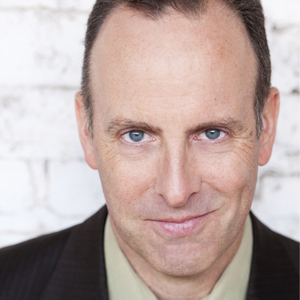 Other Chicago credits include As You Like It, Twelfth Night, The Comedy of Errors, King Lear, Troilus and Cressida (Chicago Shakespeare); Vanya and Sonia and Masha and Spike, Waiting for Godot, A Funny Thing Happened on the Way to the Forum, The Rover, A Christmas Carol, and Stage Kiss (Goodman Theatre); The Man Who Came to Dinner and One Flew Over the Cuckoo’s Nest (Steppenwolf); A Man of No Importance, The Dresser both directed by Dr. Mark Lococo and Where’s Charlie (Apple Tree Theatre); As You Like It, and Bach at Leipzig (Writers); One Man, Two Guvnors (Court). 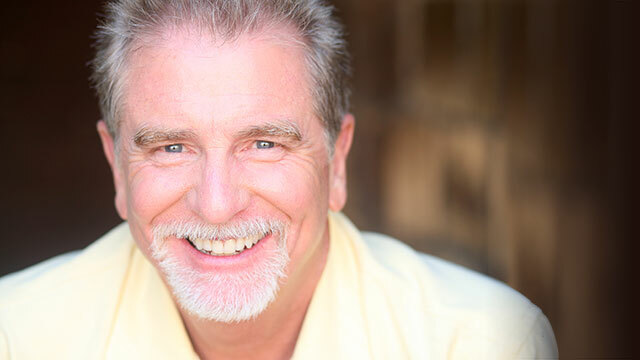 He has received five Jeff Awards and two After Dark awards. His appearance as Koko in The Hot Mikado in London’s West End earned him a Laurence Olivier Award nomination. Last year, Ross was an “Artist in Residence” in Loyola’s Department of Fine and Performing Arts. Lindsay is excited to make her Northlight debut. 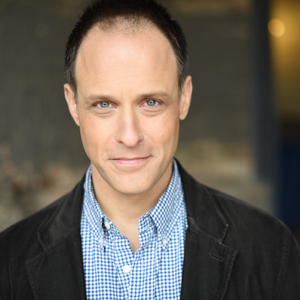 Chicago credits include Soup, Stews, Casseroles 1976 (Goodman); Sketchbook 15 (Collaboraction); EL Stories and Art on Track (Waltzing Mechanics) as well as staged readings and workshops with The Gift Theatre, Chicago Dramatists, and Pride Films and Plays. 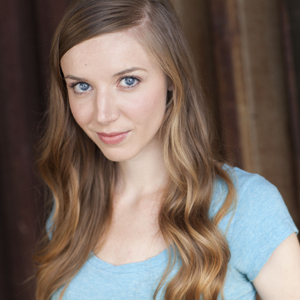 Additionally, she has appeared on NBC’s Chicago PD and is represented by Big Mouth Talent.